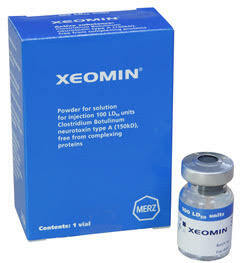 What are the overall advantages of treating wrinkles with BOTOX®? Reduces horizontal creases in the forehead. Reduces frown lines. A few drops of BOTOX® are injected with a tiny needle into the muscle that creates a wrinkle. When BOTOX® is injected into a muscle, it blocks the nerve impulse from reaching that area, and as a result, the muscle weakens. As the muscle weakens, the skin overlying the muscle relaxes and the wrinkles in the skin gradually soften and often disappear. BOTOX® treatment does not effect normal facial expressions. Basically, the botulinum toxins block the signals that would normally tell your muscles to contract. If a specific muscle can’t move, it can’t cause a wrinkle. Your Practitioner will administer several tiny injections of BOTOX® Cosmetic directly into the muscles of the areas you wish treated. You may resume normal activity immediately. You may see a marked improvement in the moderate to severe frown lines between your brows within days. Improvement may continue for as long as several months, and could last up to 5 months*. Each patient has a different response. After that, the muscle action returns. When frown lines reappear, a repeat treatment is necessary to regain the results. * Results vary from patient to patient. 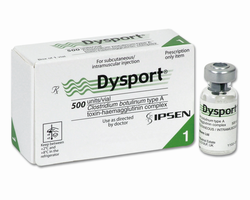 Dysport for many patients seems to take effect a little quicker than Botox, and for some reports lasts a little longer. Studies have not been performed to determine whether the presence or absence of accessory proteins has a long-term effect on safety or efficacy.